Following my previous post In Case Of Emergency, Play Serious Games - I, dedicated to 'HAZMAT: HOTZONE' -- a software that prepares firefighters for emergencies such as chemical spills or terror attacks involving biological weapons -- I have realized the increasing number of games either developed or further adapted to train emergency responders who are forced to make life-and-death decisions in the blink of an eye. BreakAway Games announced that it has made available the final version of its emergency training and simulation PC title Incident Commander to first responders and emergency personnel nationwide. 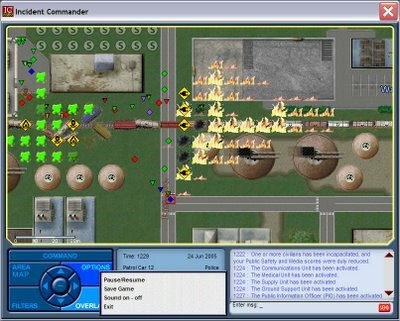 The serious game will be used to help them train for multi-agency emergency situations, such as Hurricane Katrina disaster. "Incident Commander" was developed for the Department of Justice as part of the National Incident Management System mandated after the September 11 attacks. "Incident Commander," manufactured by BreakAway Ltd. of Hunt Valley, simulates crisis scenarios including a severe storm, a natural disaster, a school hostage situation and a terrorist attack. As many as 16 players can train simultaneously on computers at work or from home, assuming the role of the commander or a member of the operations team. "Getting people together and making them work with each other through an incident just really prepares the ground. Everyone has always known that," said Doug Whatley, BreakAway's founder and chief executive officer. That's why police and fire departments and hospitals have exercises where they shut down for a day. But that's a very expensive proposition," he said. "This allows a lot of the key people to do it in their own time in a very time-effective fashion without having to get together. It's not that we're doing anything new; we're doing it in a way that doesn't cost millions of dollars." The Justice Department contract is worth about $500,000, Mr. Whatley said. 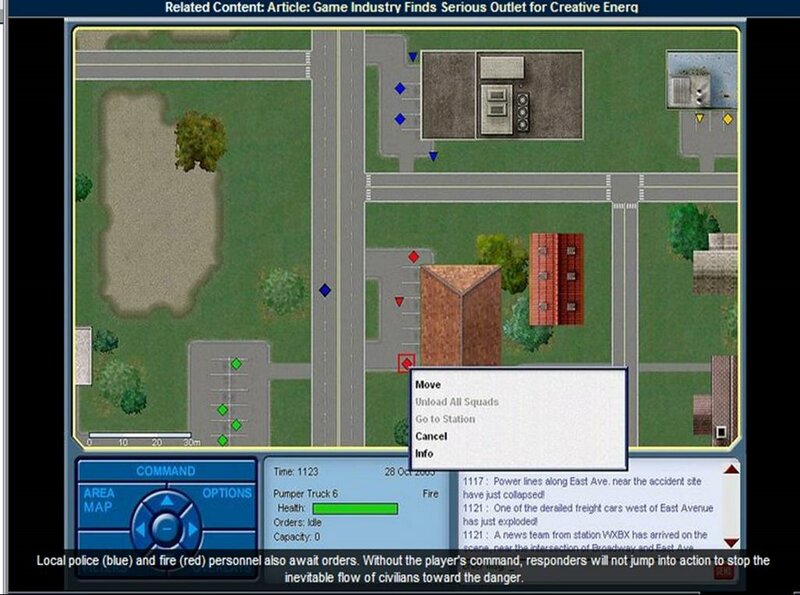 The agency plans to distribute "Incident Commander" to every municipality in the country, Mr. Whatley said, adding that the game is particularly helpful for small towns that do not have the resources of larger cities such as New York or Washington. 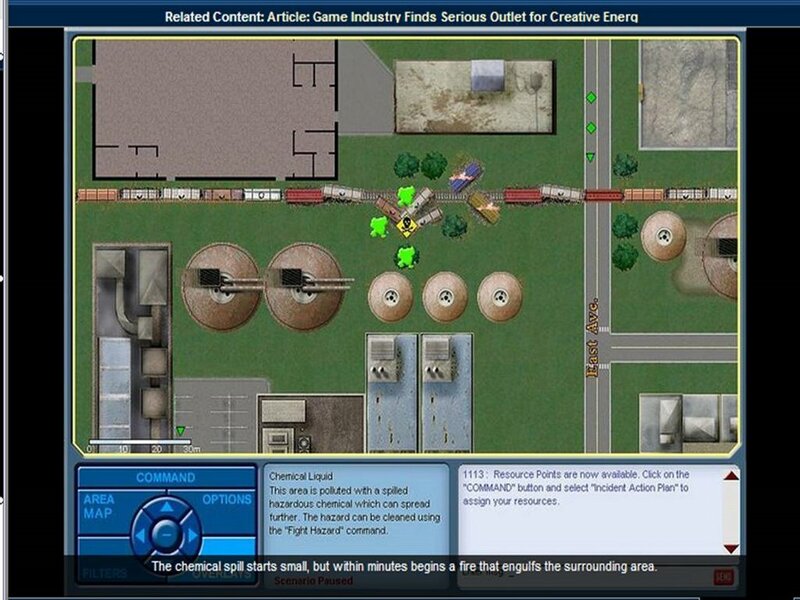 The game simulates the chaos of emergency situations. 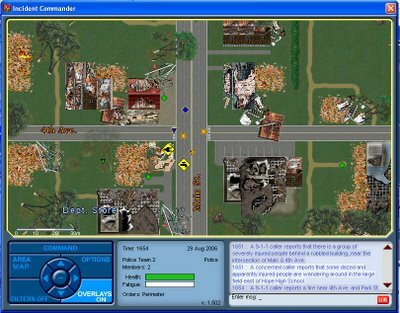 For example, the game's severe-storm scenario challenges players with broken water mains, gas leaks, destroyed buildings, obstructed roads and injured civilians. Users can customize the simulation according to their locality. "It forced you to go through the process that you need to work within the National Incident Management System," said Joseph Barlow, a member of the Illinois Medical Emergency Response Team who became familiar with the simulation before deploying to Baton Rouge, La., after Hurricane Katrina last year. "If you want to order supplies, you have to have a communications structure set up. If you want to be able to send somebody to do a job, you have to have an operations branch." The scenarios compress days and weeks into games lasting several hours. 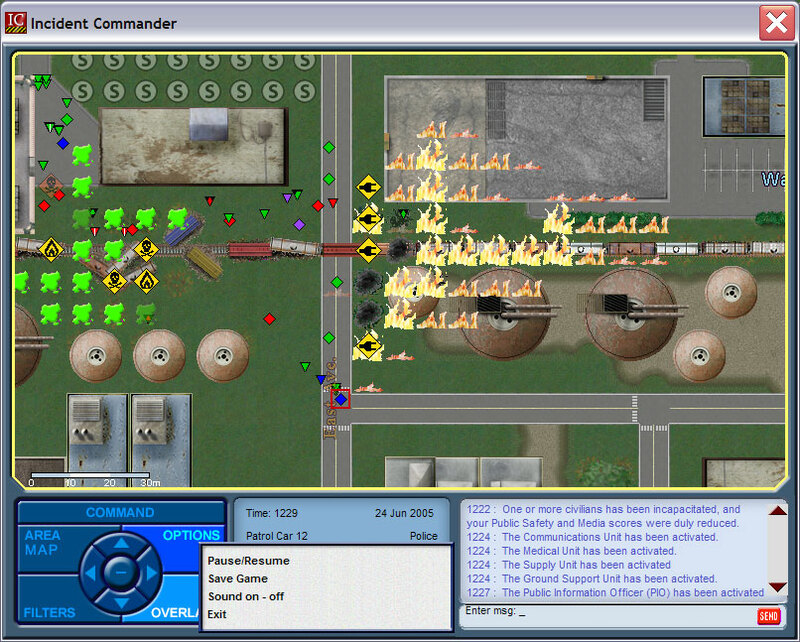 Users can play from start to finish or pause and complete the simulation during multiple sessions. Mr. Whatley said "Incident Commander" can help prepare first responders for disasters by forcing agencies to work together. "It never hurts to have people communicate with people they're going to work with," he said, noting that communication sometimes was difficult in the aftermath of Katrina. "If those independent groups [of first responders] had been better prepared to work on their own, I think that the whole response would have been better. Obviously, getting them to communicate is the first problem, but if that doesn't happen, having everyone better trained is the next best thing." The game scores players on public safety, based on how many civilians are killed or injured; media, or how the incident played out on television; and total cost of the response. 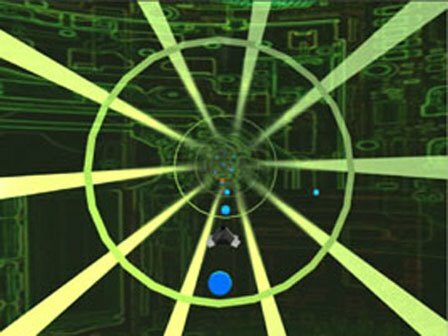 BreakAway is developing a new model of the simulation that will make it easier for users to design their own scenarios. The updated product is expected to be available sometime next year.